Program Will Promote Research-Driven Careers in the Field of Hypnosis. The SCEH website will feature a list of available Mentors, linked to an online profile, allowing Mentees to select a preferred Mentor. Please note this list will be expanded and updated as we roll out this new initiative and add program participants. Participating in the SCEH Mentorship Program is voluntary for both Mentors and Mentees. Mentees submit applications online via an online form on the SCEH website. Mentees should be aware they may not be accepted by their preferred Mentor. The Society for Clinical and Experimental Hypnosis (SCEH) has announced their conference keynote speakers for their 2016 meeting in Boston. The Society's 67th Annual Workshops & Scientific Program will take place from October 6 to 10, 2016 at the Hilton Boston/Dedham Hotel (Dedham, MA) and William James College (Newton, MA). 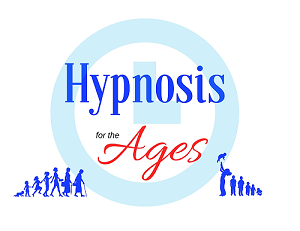 The theme for the conference is The Future of Clinical and Experimental Hypnosis in the Era of Health Care Reform. In 2016, SCEH will offer a limited number of competitive scholarships. Students are encouraged to apply early. If you are a student and wish to apply for a Scholarship, we ask that you submit a Scientific Paper for this year's conference. (See details below.) Please be sure to submit your complete Scientific Paper proposal before you complete the scholarship application. Full-time students who are enrolled in Masters or doctoral programs in: psychology; counseling; marriage and family therapy; medicine; dentistry or nursing, as well as interns at qualified medical and psychological training institutions, are eligible to apply for a Professional Development Scholarship for the 67th Annual SCEH Conference. Priority is given to those who are first authors of a paper accepted for the Scientific Program who will present that paper at the meeting. The scholarship provides a waiver of registration fees. A limited number of stipends ($250) may be awarded for travel, lodging, and/or meals based upon scientific merit of presentation proposal. Learn more about the SCEH scholarship program and access the scholarship application here. View meeting details, including agendas and session descriptions in our conference brochure. As is our tradition, this year's program features a wide variety of sessions and workshops. Workshops are designed to teach participants hypnotic theory and practical techniques for immediate use in professional practice. Lectures, audiovisual presentations, and skill-practice groups are featured. Join us as internationally known authorities share the latest research on clinical hypnosis, including keynotes, research presentations and symposia. ♦ pain management and Eastern philosophy • hypnosis and biofeedback in pain management ... and more.